OBJECTIVE: To familiarize the students with the Beatitudes and make the connection that blessings follow obedient service to Christ. MAIN IDEA: God’s word promises blessings when we are obedient. When we serve we should remember that God knows our true motives and will reward us for serving him. Vs. 3: “Poor in spirit” means those who humbly accept their need for Christ. Vs. 4: “Those who mourn…shall be comforted,” is possible because Jesus is our Comforter. Vs. 5: “The meek,” describes being gentle, slow to anger, and having controlled strength. Vs. 6: “Hunger and thirst for righteousness,” means longing to be more like Christ. Vs. 7: “The merciful,” means responding with compassion toward others when they deserve to be punished. Vs. 8: “Pure in heart,” means having the right motives and being blameless before God. Vs. 9: “Peacemakers,” seek to bring peace among opposition or bad circumstances. Vs. 10: “Persecuted for righteousness’ sake,” means being mistreated for being obedient to God. Vs. 11: “Revile…say all kinds of evil against you,” means when we’re wrongly accused of evil. Vs. 12: (Goes with verse 11) “Rejoice and be exceedingly glad…” is hard to do when we are mistreated, but Jesus promises we will be rewarded for doing the right thing! Emphasize to the class that it’s important to have reminders of being obedient to God. Say, “Today we are going to decorate pencil bags that you can take to school with you as a reminder to serve God and others.” Pass out the canvas pencil bags and craft supplies. Encourage the students to write a word, phrase, or bible verse on their bags as a reminder to serve. RECAP: We can expect blessings when we obey God’s word. Also, Jesus assured believers through his Sermon on the Mount that rewards are in store for those who wholeheartedly serve God and others. 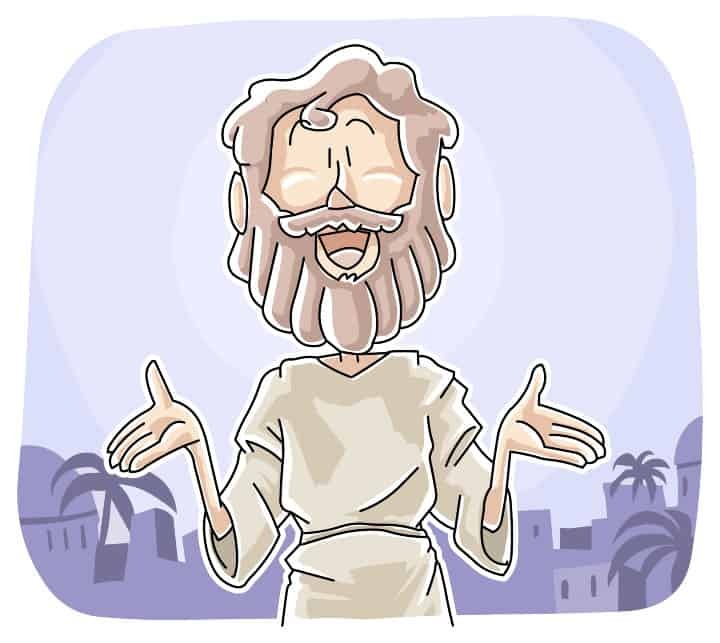 You can find many more lessons about the Beatitudes on our website.